Anyone knows how to get pic from atminho.com? It's all in korean. Kim Yuna and SS501 Kim HyunJoong are 2009 Top CF Model! Figure Skater Kim Yuna and SS501 Kim HyunJoong are chosen as 2009 Top CF Model! Go under the cut to find out more! A survey called “2009 Korea’s Advertising Trend” was conducted by an Advertising&Marketing Specialist site called Ad Waple from Nov 30 to Dec 13 to choose the most popular advertising models and successfully gathered 10.000 voter along the period. Kim Hyunjoong is no.1 for the Male CF model category with 27.1% voting, whilst 2nd place is Lee Minho with 19.9% and 3rd place is Lee SeungKi with 19.6%. In women’s section, figure skater Kim Yuna is no.1 with 34%, 2nd place is Girls Generation with 33%, and Kpop Diva Lee Hyori is no.3 with 9.3%. In addition, many idol groups are ’selling chicken’ as they’re being a Chicken brand endorser in 2009. And a survey is also conducted for the category of ‘Best Chicken Ad Model’ with winners as follow : Girls Generation is leading with 29.5%, then followed by Super Junior with 27.3% and 3rd place is SS501 Kim Hyunjoong for his Hotsun Chicken endorsement with 19.0% in ranking. Korean actor Lee Min-ho has successfully wrapped up another fan meeting in Singapore, according to his agency Starhaus Entertainment. Some 2,000 fans attended the fan meeting -- titled "MINOZ, THE FIRST ASIA FAN MEETING - FIRST LOVE...with SINGAPORE" -- which took place on December 21 at the Max Pavilion auditorium. "It was the last fan meeting of the year, so many Korean fans wanted to attend as well", an official at Starhaus was quoted as saying. "But tickets were sold out, so they were unable to do so". The official went on to explain that many people from Indonesia, Malaysia and Thailand came to Singapore to see the Hallyu star. Lee, who recently visited Japan and Taiwan, performed two songs during the event; his solo single "My Everything" and theme song "Boys over Flowers" from the soundtrack. The 22-year-old actor shot to stardom after starring in "Boys" earlier this year. The drama co-starred Korean actress Koo Hye-sueon and idol group member Kim Hyun-joong of SS501. wow u capped the pixs from my vids?? Rgal, thanks for your super clear video. Your video is one of the popular ones here among Korean fans. Yeah~the captured images are from your video. Do you see the logo "Tulip"? She did it. @Meow.. Sorry for late meow I must to clear my work first coz of I absent 2 days hahaha.. I will share you only Pixs first,, Video Pls wait me a moment..
"For centuries men have kept an appointment with Christmas. Christmas means fellowship, feasting, giving and receiving, a time of good cheer, home." thanks for all the wonderful pictures, and all updates about Minho.. he's handsome 1million times! MERRY CHRISTMAS EVE TO ALL MINOZ AND OF COURSE, TO 민호 오빠 !!! 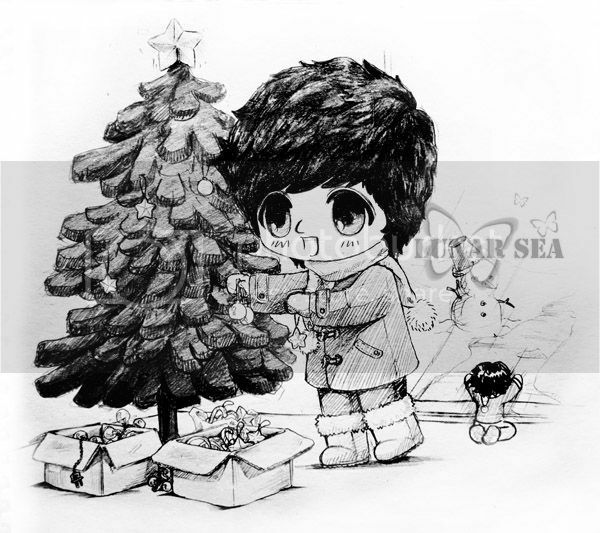 MEERRY CHRISTMAS TO ALL MINOZ and May all your wishes comes true in the new year!!! i cant see the pics dear, what happen with them? Thank you for posted Gun Junpyo's photo. Wanna ask again...this scene pic in which epi? BOF on Malaysia's 8tv Monday-Friday 8.30 - 9.30 . I'm positive that's a Gucci tie! The monochrome's the same, and the stripes across as well.